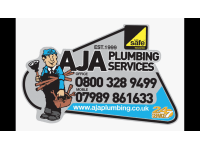 For dependable, efficient plumbers and Gas Safe engineers in North London, choose AJA Plumbing Services. With our range of plumbing, heating and gas services, we deliver quality installations, repairs and maintenance work for homes and businesses. Established since 2000, AJA Plumbing Services has a reputation for delivering exceptional workmanship at the best price possible. With more than 80% of our work coming from recommendations, complete customer satisfaction is our priority. Want to book an appointment for a free estimate? Contact us today or call 0800 328 9499. Absolutely brilliant. Reliable, good work, cost effective. Best plumber in London and I have tried a few. Avoid Aspect and Pimlico unless you are absolutely desperate and can't find an alternative. Over priced for sure.